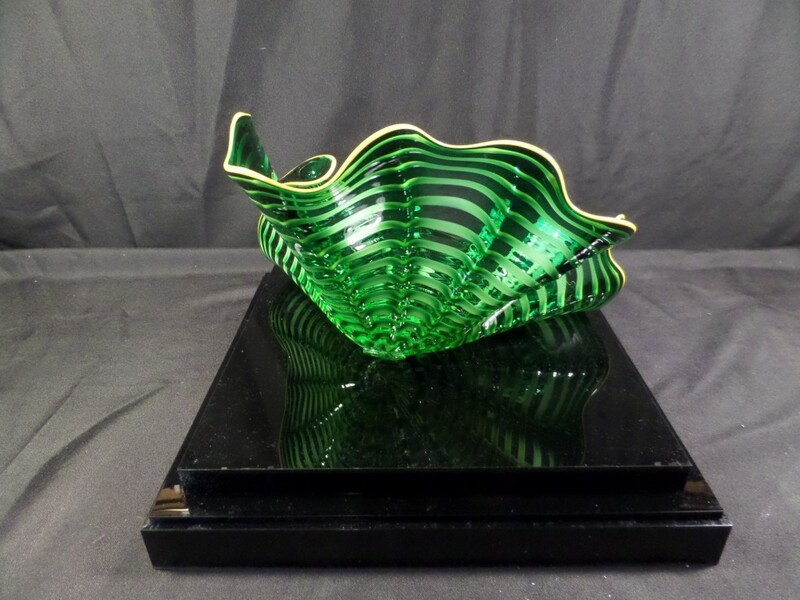 With Their Exotic, Fluid shapes, Dale Chihily's Persians swirl with kinetic energy, mimicking ancient vessels of blending into a natural landscape almost seamlessly. "I love to juxtapose the man-made and the natural to make people wonder and ask, 'Are they man-made or did they come from nature?' 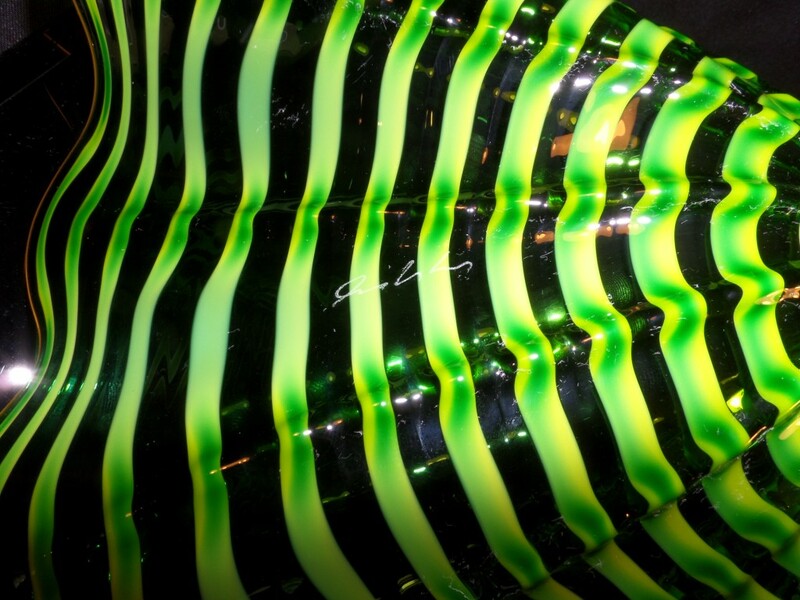 That's a very important part of my work", says Chihuly. 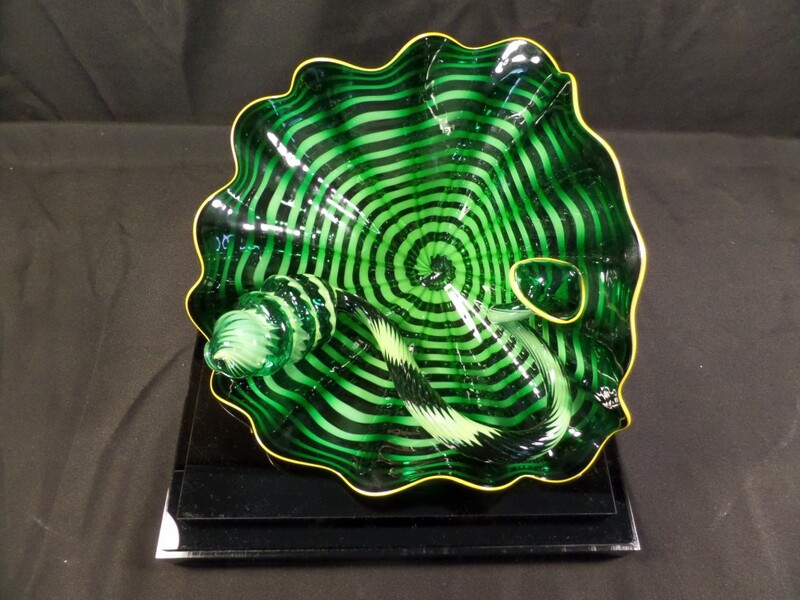 CELTIC EMERALD PERSIAN PEAR blazes with bright and vibrant color. 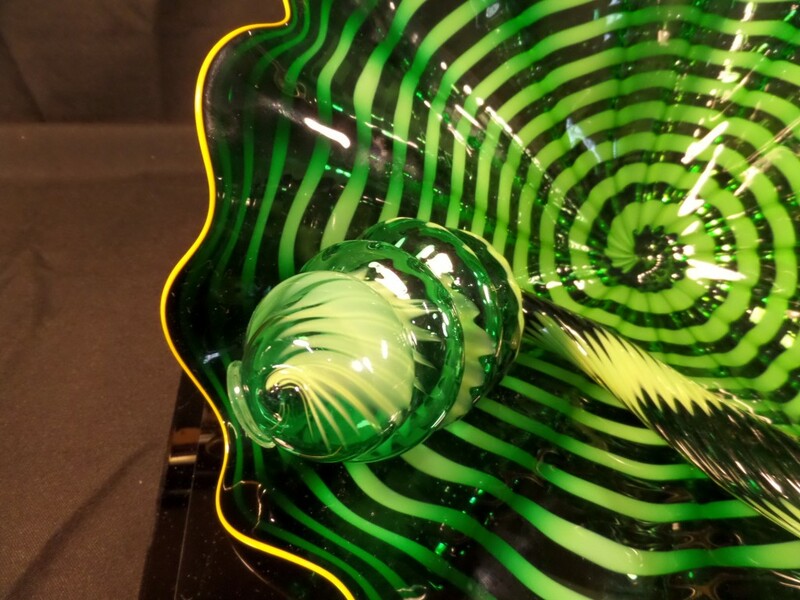 Measuring approximately eleven inches across, the larger piece is blown through - bright green in the center to a dark, shadowy green along the edge, accented by a golden yellow lip wrap. Echoing these same colors, a smaller, coiling element rests inside looking as if it were a live garden creature reaching out to the viewer. 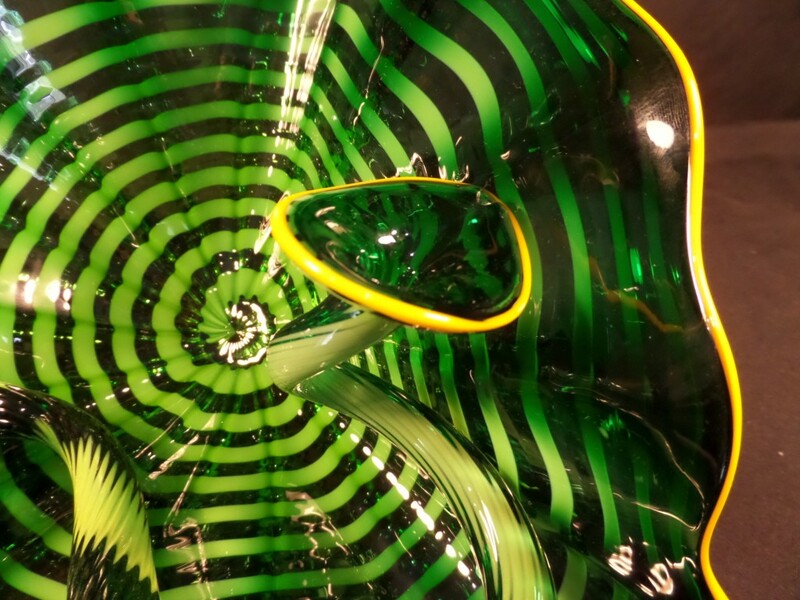 Winding around both elements, dark and light green body wraps create a virtual glow. 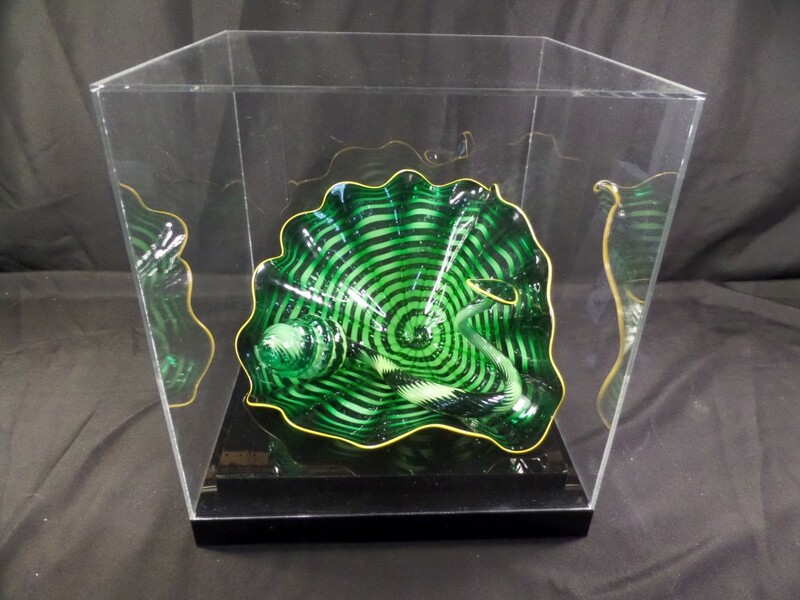 The Larger element of this hand blown 2007 Portland Press Studio Edition is signed by Chihuly. 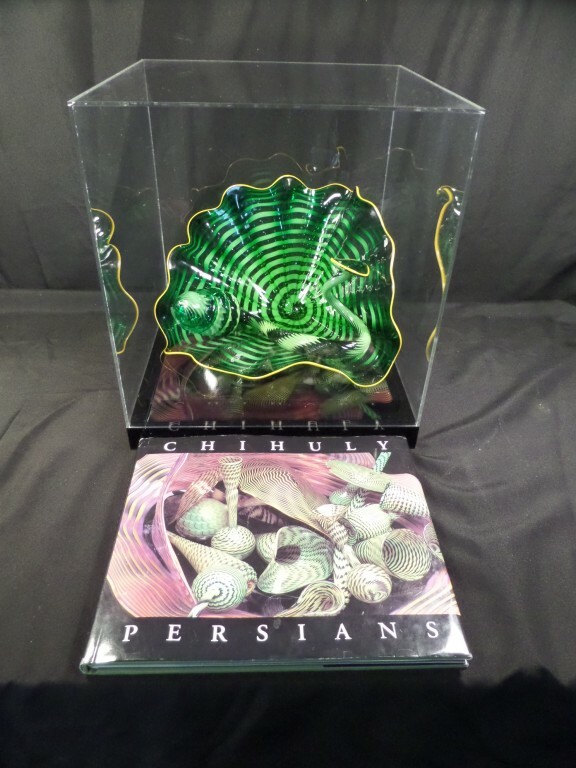 A Plexi-glass vitrine and "Chihuly Persians", a hardcover book featuring sixty color photos of the PERSIAN series with an essay by museum curator Tina Oldknow, are included.